There are so many good reasons to retire in Bali. Bali, with a population of about four million, is one of about 17,500 islands that make up Indonesia. It has a constant 85-degree temperature, stunning landscapes, and warm and gracious smiling people. Their culture and religion is fascinating and almost everyone speaks English, which means there’s no language barrier, making daily life that bit more easier and relaxed. Plus, who wouldn’t want the conveniences of a home with beautiful beaches, excellent shopping and delicious food for a fraction of the cost? Ubud and Seminyak are the most popular locations inhabited with expats and tourists. Both of these areas have all the Western amenities that you could think of, making fitting-in here a breeze. Cost of Living in Bali? There are many Westerners who come and recreate their previous life here on half the money but with twice the luxuries than the life they left behind. And there are others who embrace the culture, learn the language, and have as many Balinese friends as they do Western ones, if not more. Your money stretches farther here, so you can live a luxurious lifestyle for pennies rather than dollars. You could live in a two-bedroom, two-bathroom villa with a private pool for $3000 a month! That leaves plenty of money for the small pleasures that Bali is known for…like lavish spa treatments or a snorkeling expedition. You can even hire a full-time maid for as little as $100 a month. Food is inexpensive if you (or your staff) buy fresh vegetables and fruits from the local morning market and cook your own meals. A vegetarian can eat well for $80 -$100/month. Meat is more expensive and shopping at the local grocery stores for imported goods to create a Western meal will cost as much or a little more than your normal food expenditure at home. Foreigners are not allowed to own property, but taking a long-term lease is a common solution. Once you enter into a lease for ten, fifteen, thirty or more years, usually paid for up front, you essentially ‘own’ that property for the term of the lease and can do whatever you please with it, provided you observe local guidelines. If you’re thinking about spending any extended time in Bali, paperwork comes into play. Bali offers various types of visas—tourist, business, employment, social, and retirement visas—each with their own set of rules and benefits. Most retired people start out trying to get a “retiree visa,” which under current rules would allow you to stay indefinitely—but that can be costly and time-consuming. 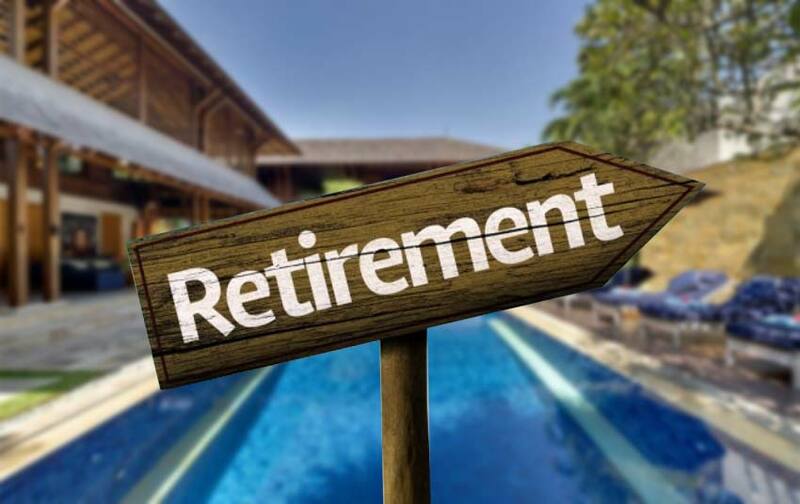 To qualify for a retirement visa, you must be at least 55 years of age; have proof of health and life insurance, proof of pension—a minimum living amount of roughly $1,520 per month, or at least a lump sum of $18,270 per year to provide living expenses while in Bali; proof of a rental agreement with the cost set at over $380 per month; a letter stating you agree to employ one Indonesian while you live there—an assistant, a household worker, etc. ; a C.V; and a statement agreeing that you won’t work while in Bali. These rules and regulations can change irregularly, so be sure to check for updates and additions. By acquiring this visa you’ll be able to stay in Bali for one year and renew for five more…but that’s not the only benefit. You can also open a local bank account and get a local driver’s license—although an International Driver’s License is also valid. Some restaurants, tourist attractions, parks, and hospitals offer discounts to those with this visa. Once you have lived in Bali for five years or more, you can apply for official residency. One other alternative: a “social visa.” This allows you to remain in Indonesia for as long as six months, at which point you can reapply.